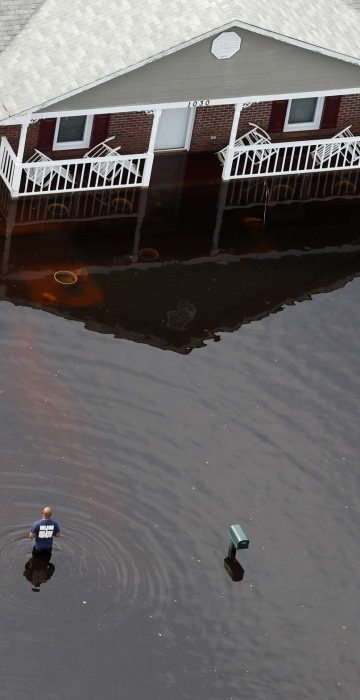 Florence's remnants are lingering along the East Coast days after it was downgraded from a hurricane, spawning deadly tornadoes and threatening downpours across the Northeast. 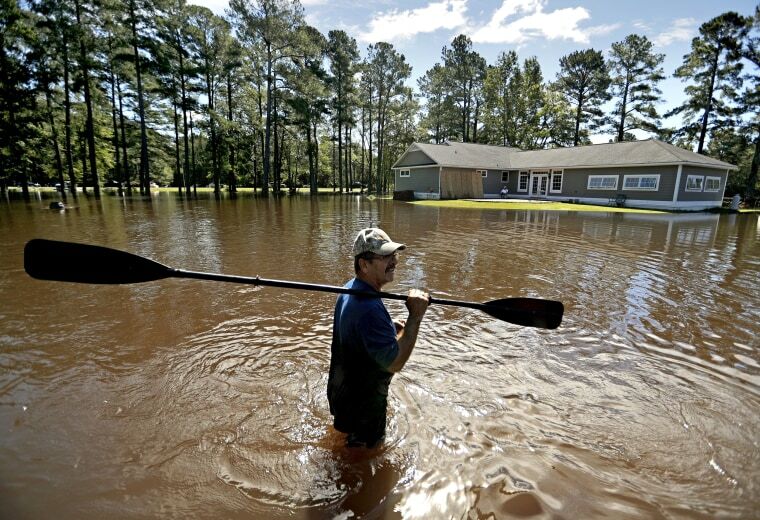 Kenny Babb retrieves a paddle that floated away from his home, surrounded by water from the Little River, on Sept. 18. 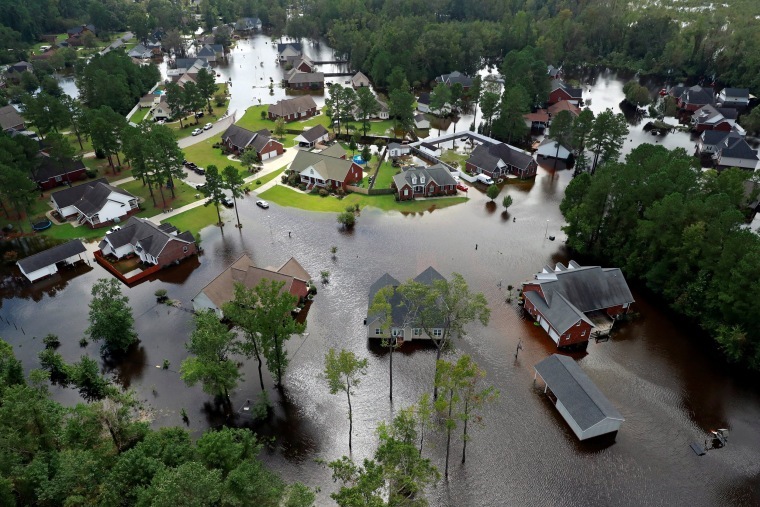 At least 33 people have died, mostly in North Carolina, during Florence and its aftermath, officials said. The storm is now a post-tropical cyclone. Dianna Wood embraces her husband Lynn as they look out over their flooded property in Linden. "I'm still hopeful," said Lynn about his home which currently has water up to the front step. "In another foot, I'll be heartbroken," he added. 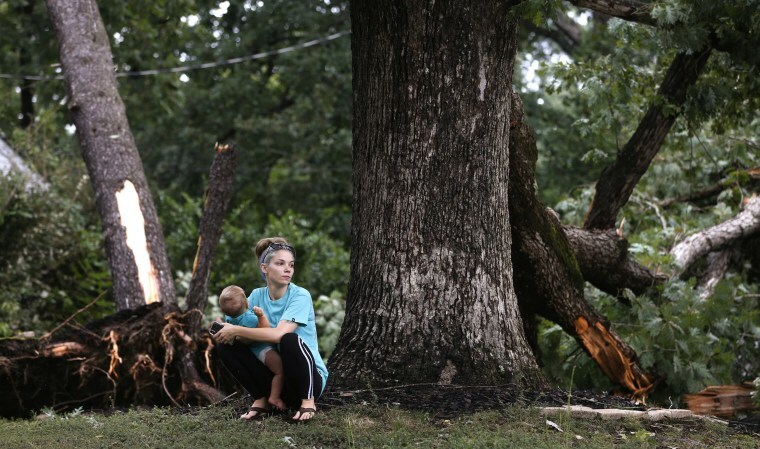 Sierra Price and her 10-month-old son Ryland Ross wait outside their home as cleanup begins on Sept. 18, the day after Florence-spawned tornadoes caused damage and claimed one life in the area. 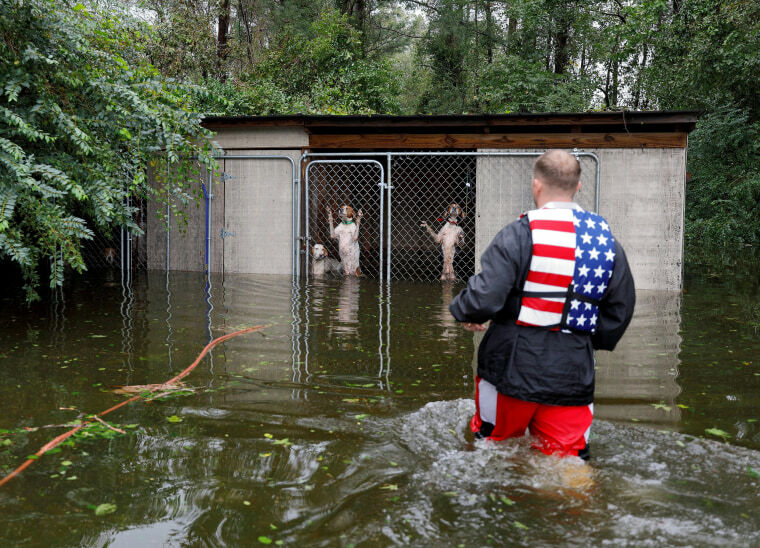 Members of New York Urban Search and Rescue help evacuate people in an area flooded by the Little River on Sept. 18. 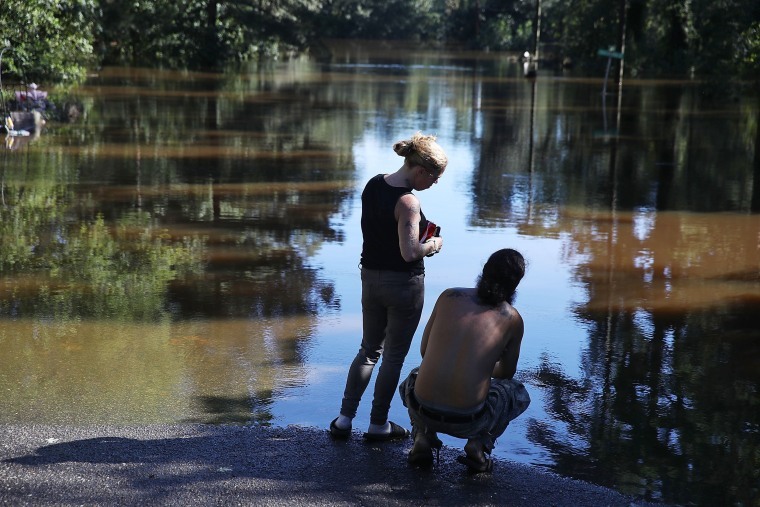 Kimberlee Bashford and Jorge Valenciaga stand on the edge of floodwaters that surround their home. 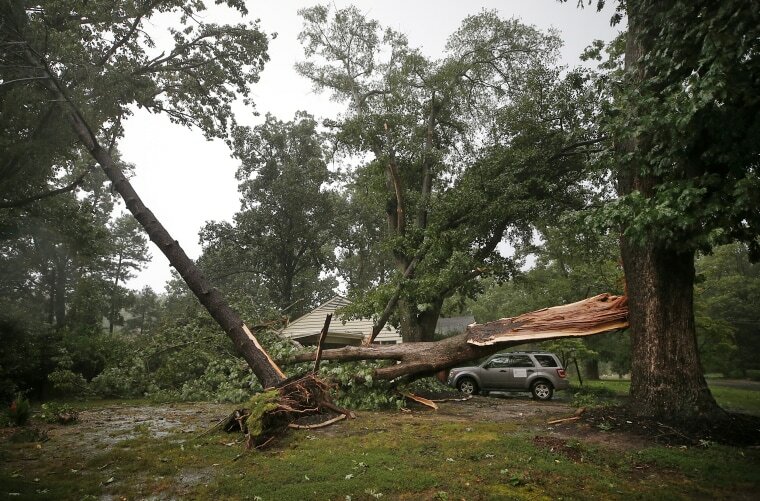 Trees are scattered across the ground after an apparent tornado touched down on Sept. 17. 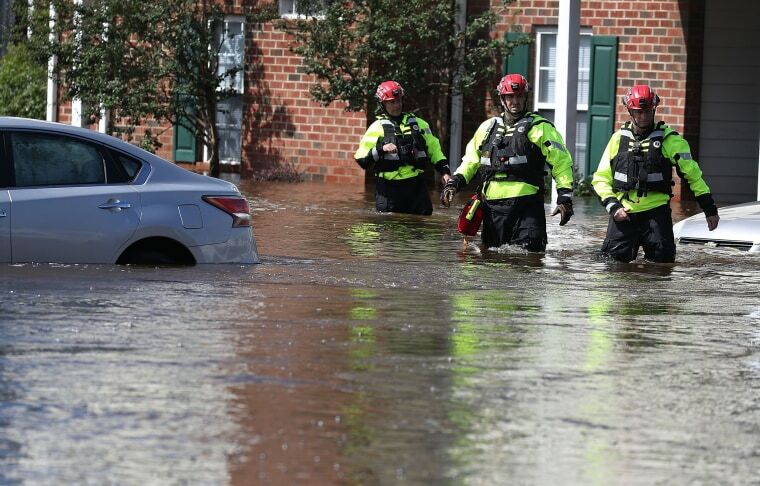 Virginia Department of Emergency Management spokesman Jeff Caldwell said his agency considers the storms part of Hurricane Florence. 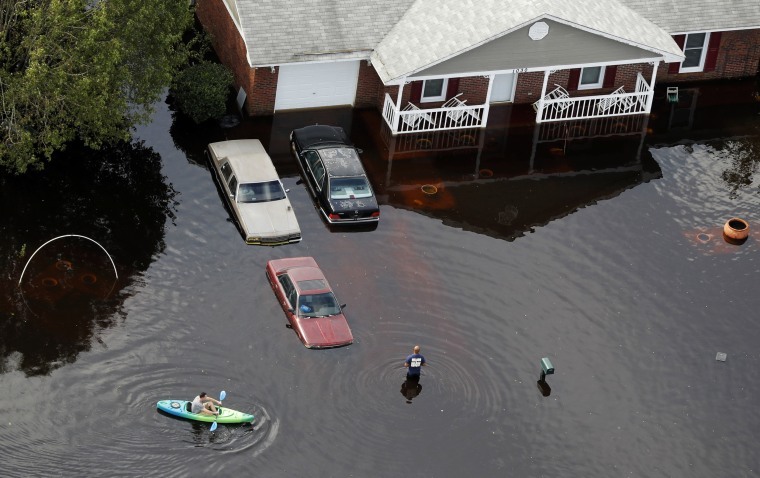 A man paddles a kayak in a flooded neighborhood on Sept. 17. 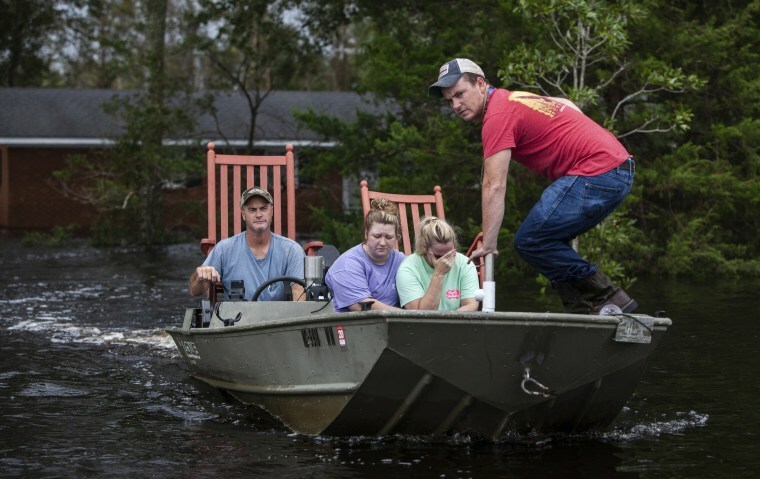 From left, Mike Haddock, 48, Katlyn Humphrey, 19, Michelle Haddock, 45, and Justin Humphrey, 24, remove possessions from the Haddock's flooded home on Sept. 17. 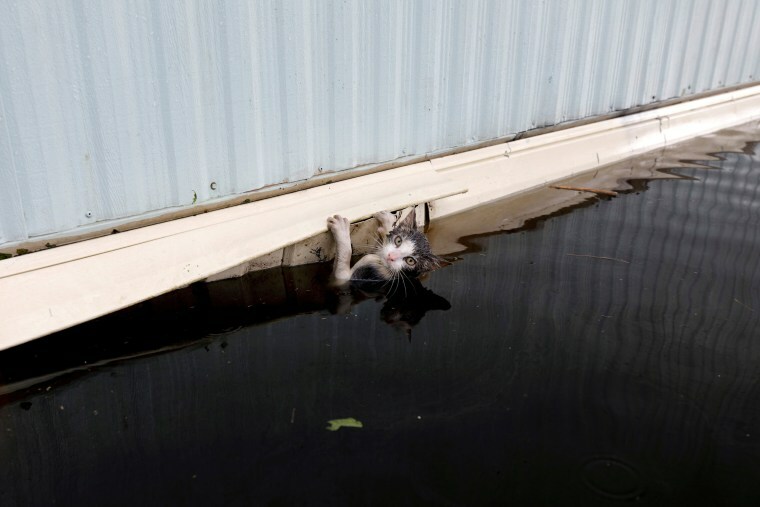 A cat clings to the side of a trailer surrounded by floodwaters before it was saved on Sept. 17. 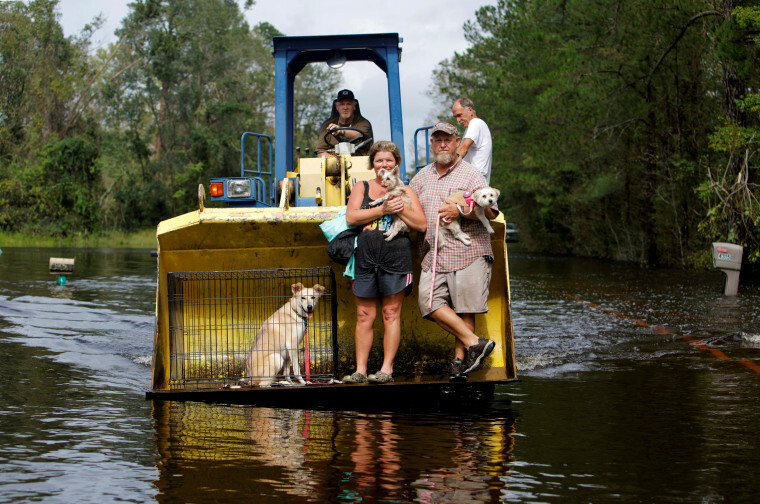 Jimmy Shackleford transports his son Jim, his wife Lisa, and their pets in the bucket of his tractor as the Northeast Cape Fear River breaks its banks during flooding. 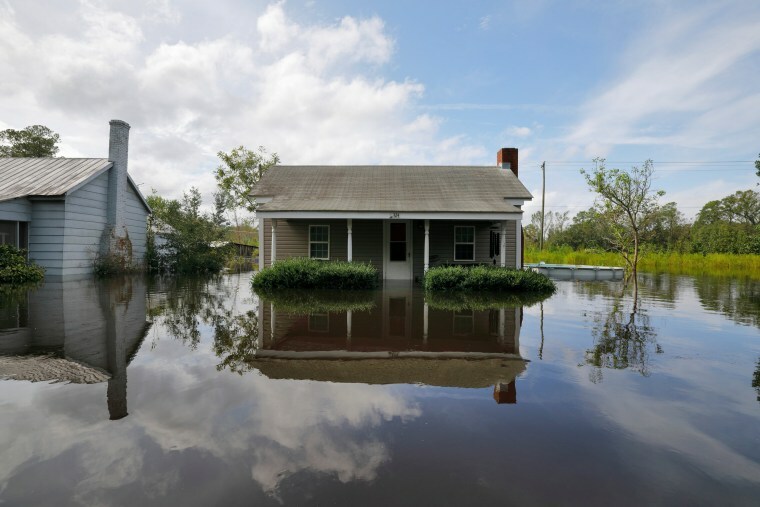 Homes are reflected in the floodwaters. 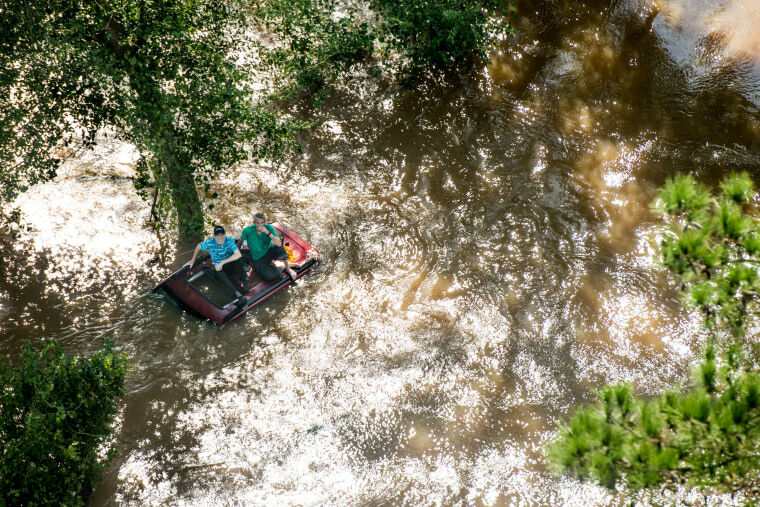 Two people sit on the roof of a vehicle trapped in floodwaters on Sept. 17. 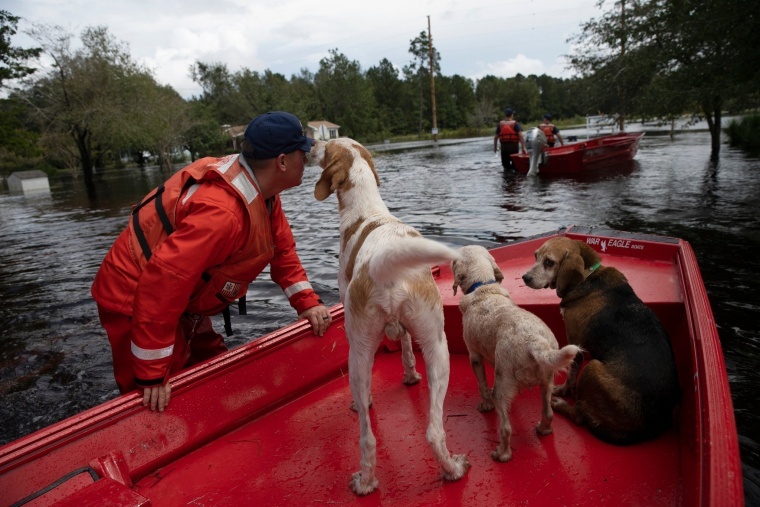 Coast Guardsman Taylor Elliot rescues dogs who were left behind in flooded areas on Sept. 17. Coast Guardsmen check for residents who need to be rescued in a flooded area of Columbus County. 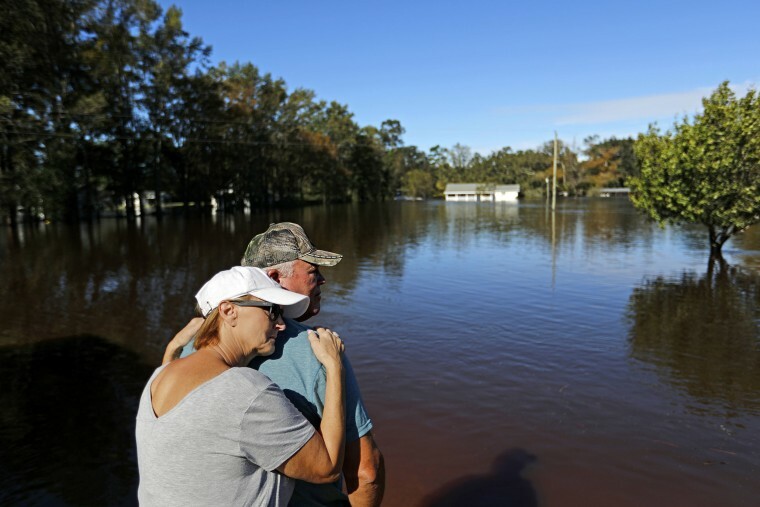 This corner of hurricane-ravaged North Carolina is so isolated that locals say there's just "one way in and one way out." Now, in the wake of Florence, the only way out for many on Monday was by boat or with the help of the National and Coast Guards. 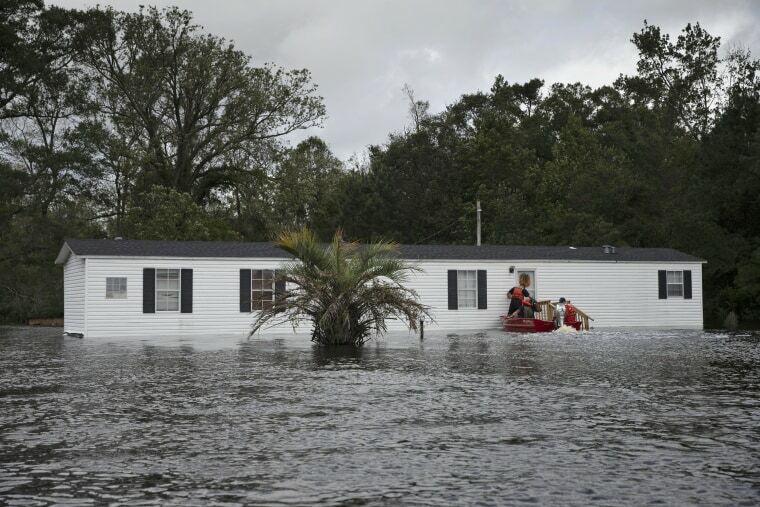 Houses sit in floodwaters on Sept. 17. 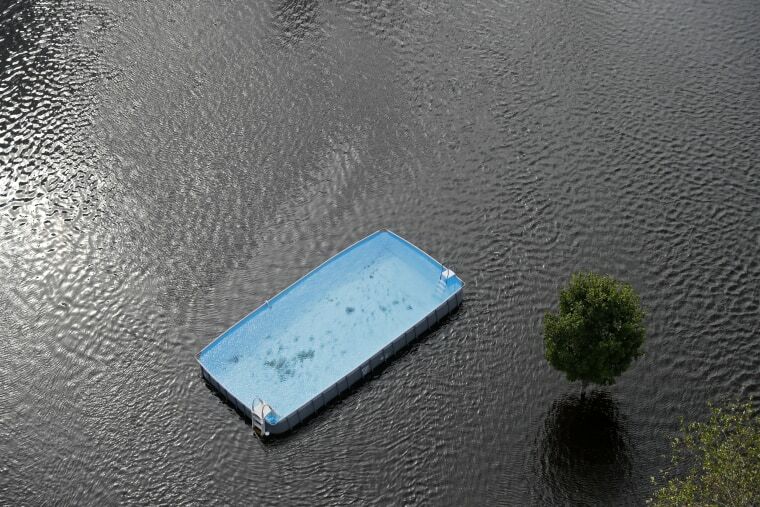 An above-ground pool is surrounded by floodwaters in Lumberton. 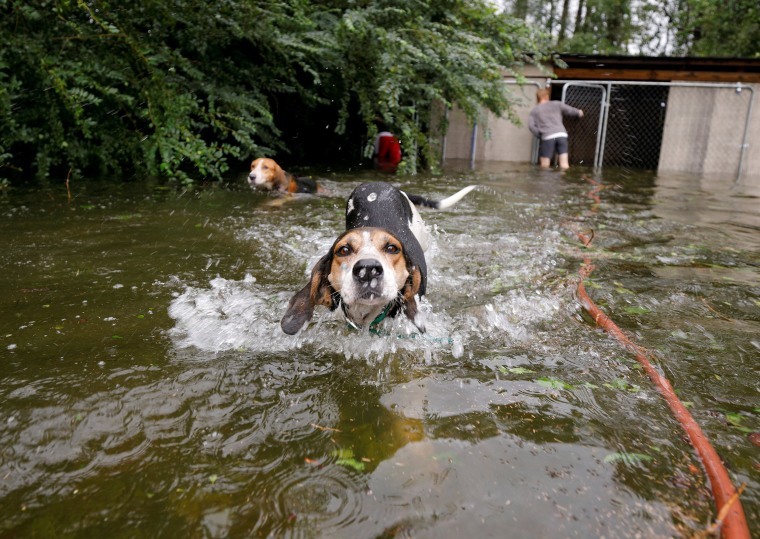 Panicked dogs that were left caged by an owner who fled rising floodwaters are rescued by volunteer Ryan Nichols on Sept. 16. The dogs swim free after their release. 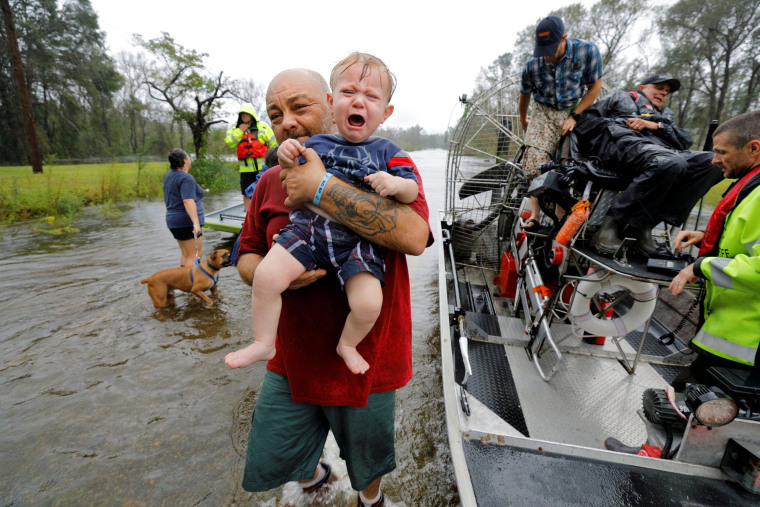 One-year-old Oliver Kelly cries as he is carried off the sheriff's air boat during his rescue from rising floodwaters in Leland.